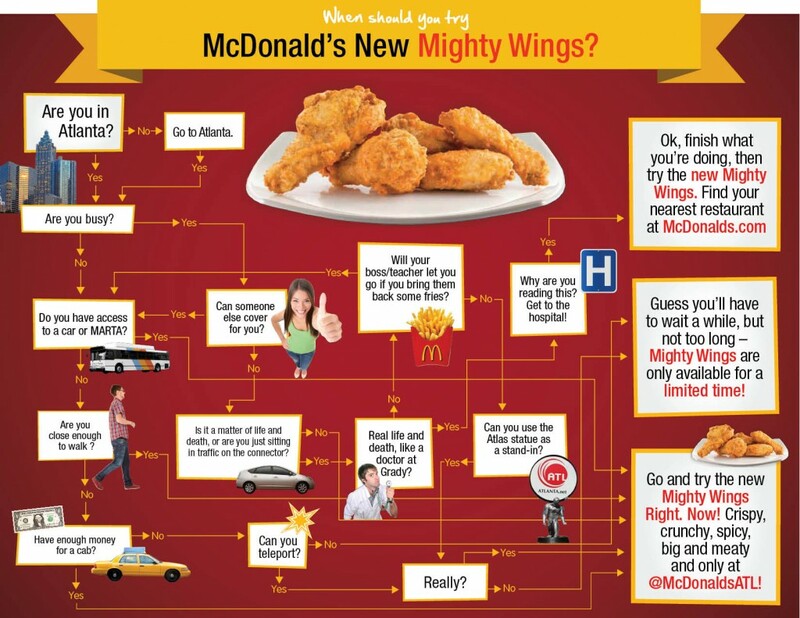 Home » giveaway » McDonald’s Gift Card Give Away in honor of the Mighty Wings! McDonald’s Gift Card Give Away in honor of the Mighty Wings! The kids are back in school and that means the lazy days of summer are behind us. Now, we move on to after school activities, homework, and weekend sports. While I try hard to plan ahead and have meals in the house that are quick and easy to prepare, sometimes I drop the ball. On days that we are rushing from one activity to another and need something quick, I really appreciate those Golden Arches. Sometimes I just want fries and a Diet Coke but on my journey this afternoon, I stopped in to McDonald’s to try their new Mighty Wings! I live in the Metro Atlanta area and this is the only place in the US this year that McDonald’s will be featuring the Mighty Wings so I was really excited to try them out! This is a limited time offering and when they are gone there is no guarantee they will come back again so if you live in the Atlanta area you may want to run out and give them a try! When I told my son we were going to go to McDonald’s to try out these new Mighty Wings he was thrilled. He is a huge fan of wings and the spicier the better! The wings come as either a 3, 5 or 10 piece box and you can them alone or as a combo with fries and a drink. Usually when we get wings they are already covered in sauce which makes them incredibly messy. 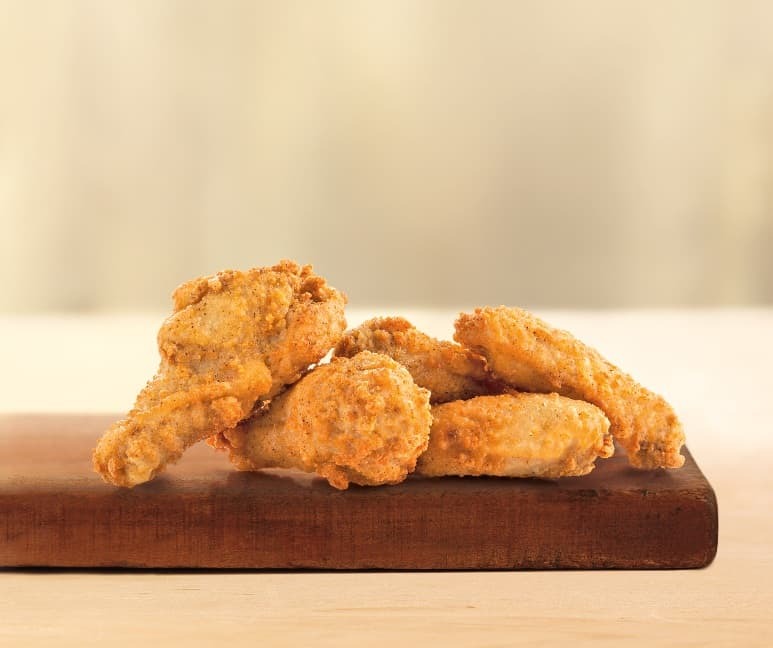 These wings are battered and fried and left ‘dry’ so you can choose your own sauce to dip in. There was sweet and sour, honey mustard, ranch, BBQ and a few others. The batter that they dip the wings in actually has a nice little ‘kick’ to it! My mouth wasn’t on fire or anything but I could definitely feel a little tingle in my lips from the heat. The wings were nice and juicy with a fairly decent amount of meat to them. All in all, the McDonald’s mighty wings were a nice afternoon snack to keep us fueled up for the rest of our activities! 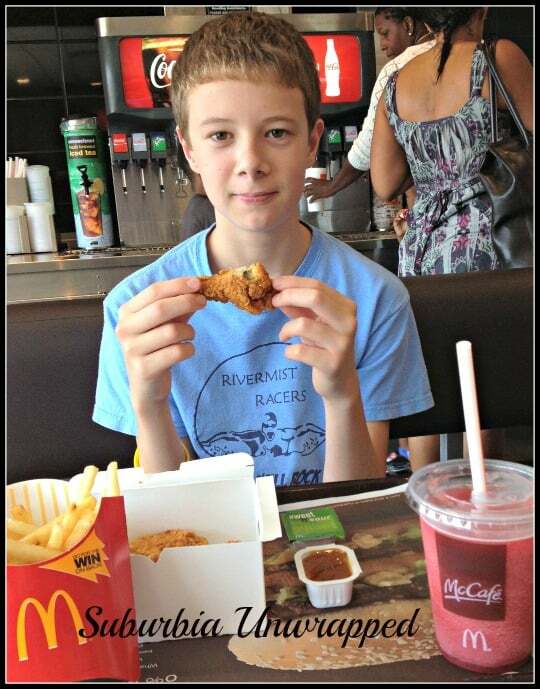 You may not live in the Atlanta area but there is always something tasty to enjoy at McDonald’s. I am giving away a $25 McDonald’s gift card so you can stop by and fuel up for your own busy day! This is a Rafflecopter giveaway so just follow the directions in the form to enter! Disclaimer: In accordance with the Federal Trade Commission’s 16 CFR, Part 255: “Guides Concerning the Use of Endorsements and Testimonials.”: I received a McDonald’s gift card in exchange for my honest review. I received no monetary compensation. All opinions expressed here are mine and mine alone. By entering this giveaway, you release this blog and it’s owner from any liability whatsoever, and waive any and all causes of action, related to any claims, costs, injuries, losses or damages of any kind arising out of or in connection with the giveaway or delivery, mis-delivery or acceptance of any prize. I love the yogurt parfaits! Still one for the classics--Big Mac and the Quarter Pounder with Cheese. I like the smoothies and the occasional shake! Fries and the Strawberry Banana Smoothie! I love nuggets, but I gotta have the hot mustard sauce to go with. My favoite is the Cherry Pie. I love the Chicken Selects, and their Filet O Fish. I'm a fan of their m&m mcflurries! Thanks! Big Mac - I'm a classic kind of person when it comes to fast food. We LOVE the sausage McMuffin! I like the Chipotle BBQ Chicken wraps. def their iced coffee caramel! Steak, Egg and Cheese Bagel - Thanks! Big macs! Forever and always! Double Cheeseburger and Arctic Orange Shake. I love the double cheeseburger mini meal. It only costs $3-something and is just the right portion for lunch! They have wonderful chicken nuggets and fries, but my favorite would have to be their egg and cheese biscuits. My favorite item is the Chicken McNuggets! I love their double cheeseburger. I love the Chicken Nuggets. I still love the chicken nuggets. Hands down, McDonald's french fries are the best! the big mac has always been my fav!!!! I love the sausage breakfast wrap. Thanks for the chance. Quarter pounder, but it's been a long time since I've had one. I only go a few times a year to fix my french fry cravings! I love their Sausage Burrito, with a McCafe Mocha! They have the best fries. filet o fish or chicken nuggets!